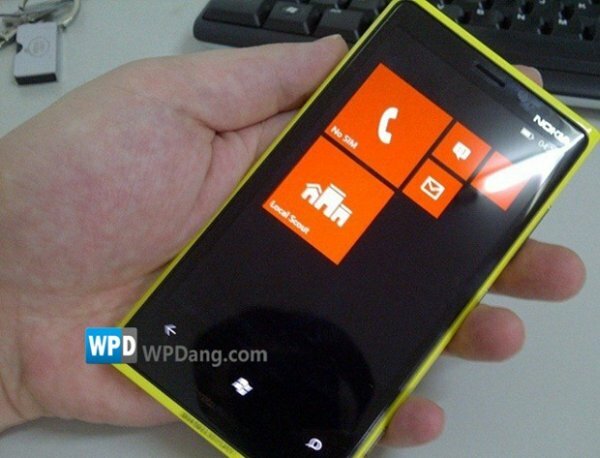 Images of an unknown Nokia Lumia handset are doing the rounds on the web. The phone in question appears to match the size of the Lumia 900 but features a curved glass screen, much like the Lumia 800. Reportedly, photos of this handset made a brief appearance on Chinese microblogging site Weibo.com. Fortunately, the folks at WPDang.com managed to save these images in time. The presence of non-uniform tiles hints that the onboard OS could either be the upcoming Windows Phone 8 or the WP7.8 update meant for existing WP7.5 handsets. If you squint really hard, you can also spot the proto.nokia.com marking below the capacitive keys. This fact is good enough to confirm the handset's prototype status. Interestingly, this news has come just as Bloomberg.com has speculated about the launch of a new Lumia at next month's Nokia World 2012. Do you think this handset looks like Nokia's next big thing? Let us know in the comments section below.